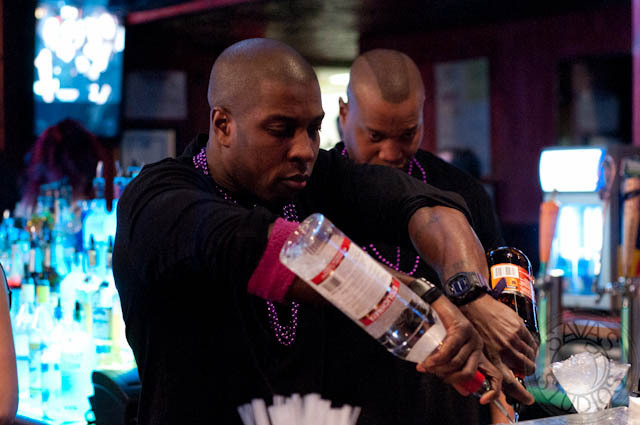 Local Bartending School offers instruction in 50 states and state certification in 42 states. Over 6,000 bartenders have signed up to become teachers. The school specializes in in-home instruction where the teacher brings the bar supplies to the student’s kitchen. All training and certification is done right at home. 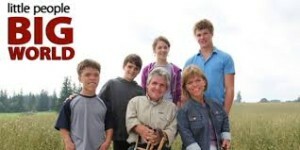 The stars of “Little People, Big World” were filmed receiving this in-home instruction. Instruction is customized and starts each student with the basics of bar tools, bar glasses, free pour, shot pour, cutting fruit, mixing drinks, using a shaker, and using a strainer. After the lessons, the student can become TIPS Responsible Serving certified and state certified in as little as five days. Dunfey, who is his late-20’s, put studies on hold at Loyola Marymount University to pursue online entrepreneurship. This is not his first nationwide education venture. Goskate.com, started in 2009, has become the largest provider of skateboarding instruction in America. He moved his residency and businesses to Nevada to take advantage of the business-friendly atmosphere. Local Bartending School has been featured on Groupon, Living Social, and will soon appear on the next season of “Little People, Big World” on TLC. The pricing of Reno Bartending School is competitive. The school has some of the best bartending trainers and the best tools and training materials of any school. 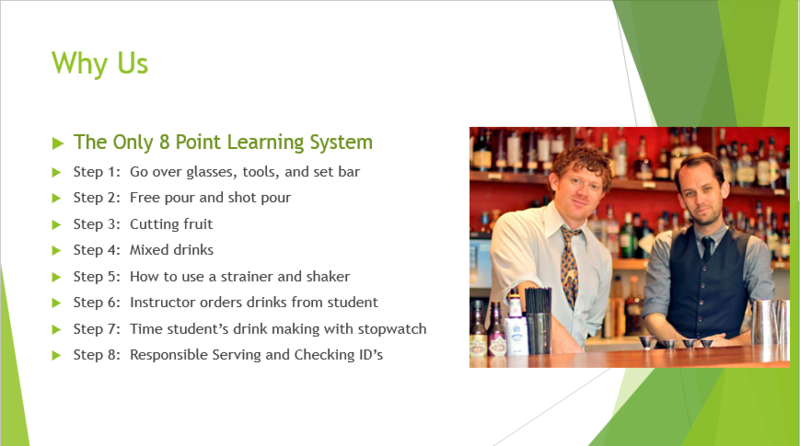 The course uses a specific system that has taught thousands of people bartending extremely quickly. Our online programs are, by far, the best deal. However, if you are looking to really get the ‘hands-on’ experience and bar training I would recommend actually attending one of our classes. We also offer 1-on-1, in-home training. This will teach you bartending and give you “real world” experience. Our 1-on-1 training takes the course right into your kitchen. 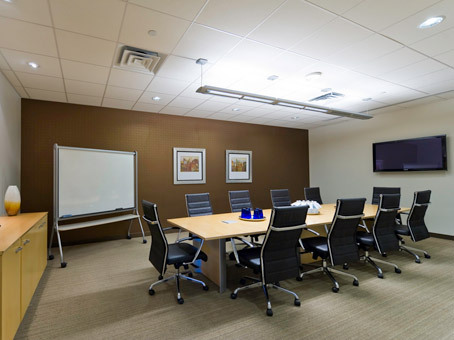 We give 1-on-1 training in Reno, Sparks, Fallon, Carson City, Gardnerville, Minden, Genoa, and Washoe. The thing to consider about bartending school is that this is an investment in your career. Well-versed bartenders can make up to $200-1200 per night. Of course, this amount is highly dependent on your work ethic and location. One thing is for sure, the price of the course can easily be re-couped if you follow through with becoming a bartender. Call 877-447-4745 and Get Enrolled Today! Welcome to Reno Bartending School. We are the leading provider of bartending education in Reno. We have taught more students how to bartend than anyone else in Northern Nevada. Our students come from Sparks, Incline Village, Reno, Carson City, Gardnerville, Fallon, and surrounding areas. Certification: All courses come with full certification. Your course can be done online but your certification must be completed in-person (per Nevada state law). A state certification is called TABC. There is another certification you will need in Nevada if you are planning to serve food. We can also get you certified for food. Job Security: The bartending industry in Nevada is highly profitable and you can make a lot of money in tips. 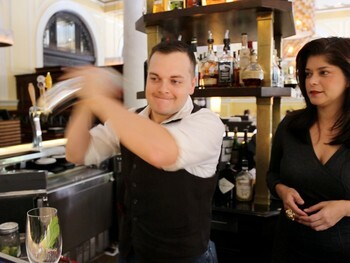 The state’s dependence on the tourism industry means it also depends on bartending. Many hotels and casinos are also seeking bartenders who have certifications and experience at a school. Job placement is also offered with every package as an option. This makes it even easier for you to be hired by a bar. 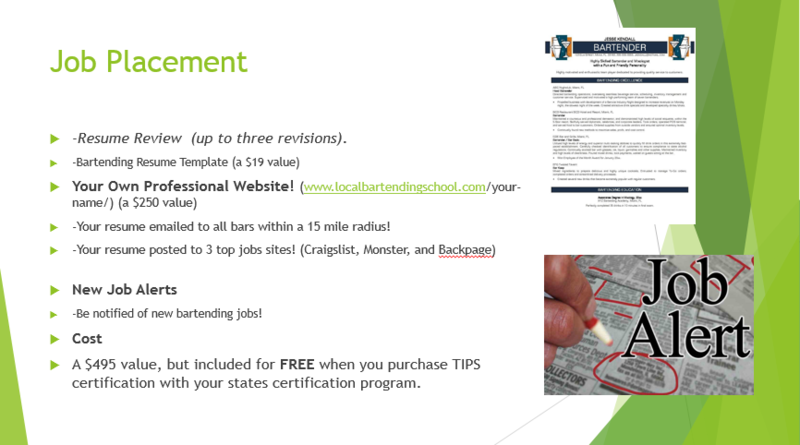 With this program, we work with you from developing your resume to helping you apply and get connected to upcoming bartender jobs. Reno Bartending School also offers TIPS Certification which is a nationwide certification which will enable you to serve even if you move to a different state. All of our certifications can be ordered A-LA Carte. 15 hours, 21 hours, 24 hours or 30 hours. Online, classroom, 1-on-1, or in-home. Wines, beers, mixed drinks, or a general basic knowledge of all.